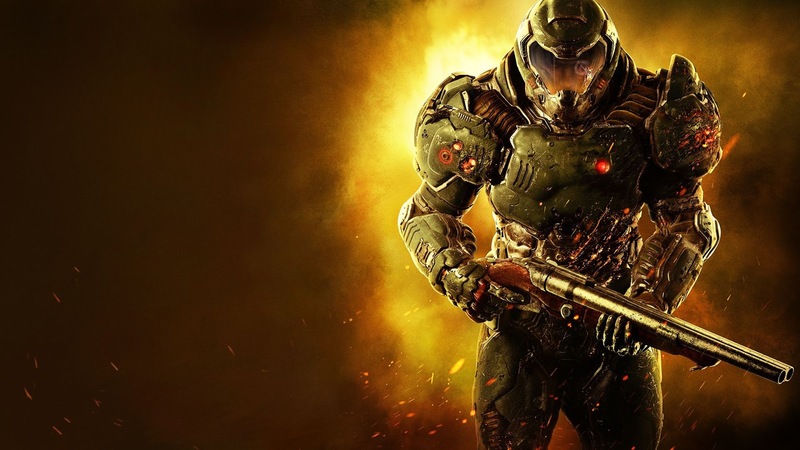 I like to have some witticism in my post titles, but DOOM, deserves to be DOOM. I went into this expecting for it to be a continuation of the DOOM 3 storyline, I was very wrong, and I'm happy I was wrong. DOOM 2016 is more like they took DOOM II and remastered it, brutalized it, threw it through a blender with some argent energy, drip fed this through some story. What coalesced from that union is quite simply, a force of nature. The DOOM Guardian (you), has just one task: kill demons. There is very little other knowledge required. Gameplay starts with brutality and only goes up from there. I was extremely impressed by the visceral look of the glory kills, not to mention the horrible (excellent) sound effects that go along with it. They are more than just visually exciting ways to finish off an enemy though. Finishing an enemy with a glory kill nets you a bit of health. Think of it like Viva Pinata, beating up creatures for health except it rains viscera instead of candy, even though I guess candy would be the viscera of a pinata.. let's save this argument for another time. It's a fun mechanic that helps keep you moving and out of the jaws of waiting beasties. Speaking of creatures, I really enjoyed the creature design and the information that went along with them. The creatures from the old school DOOM games are unforgettable. There was real worry that they wouldn't be able to deliver on the same level, but I'm pleased to say the redesigned creatures still pull off that iconic design in much greater detail. The design of their behavior is elegant, precise, deadly, and OMG SOMEONE TAKE THE COFFEE AWAY FROM THE IMPS!!! 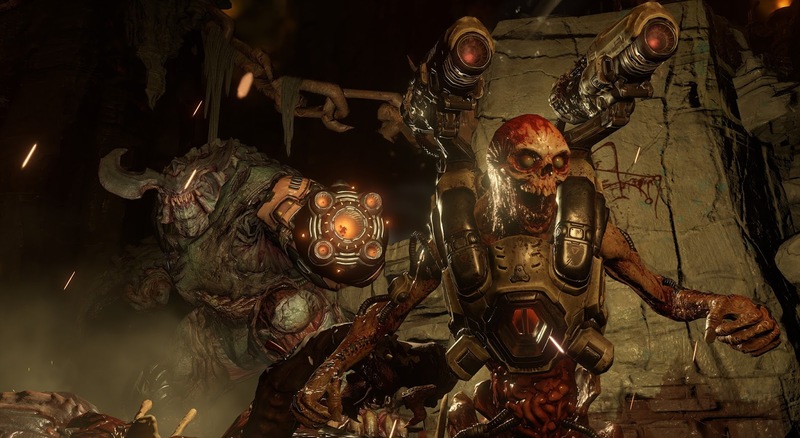 DOOM is a game with excellent replay value as well. Throughout every level, there are secrets, powerups, etc scattered around in very tight spaces that are very easy to miss and sometimes very difficult to get to. Trust me though, they are oh so very rewarding when you do get them. On top of everything, it's just a really beautiful game to look at. The attention to detail in itself is amazing. The backgrounds, your interactions with the environment, creatures, puzzles; everything is just stunningly rendered. I don't have a favorite demon to go toe to toe with at this point, they were all pretty satisfying to take down. The fighting and gunplay are central to the game, certainly, but I found the story to be rather interesting. My only quibbles with it is the way that it ended, but I'll leave it at that. I don't believe that the multiplayer is even worth touching. It is a mess right now, with missing features and a huge problem with cheating on PC. 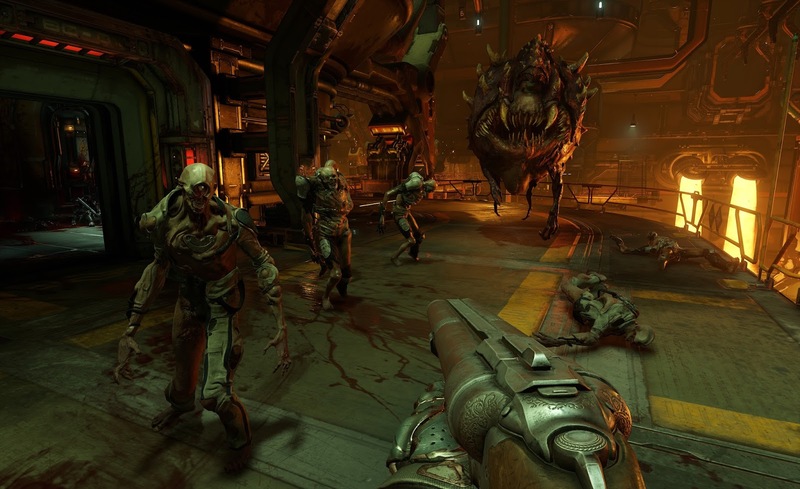 The campaign should be enough to sate your blood lust though, and plays flawlessly as a DOOM game really should.